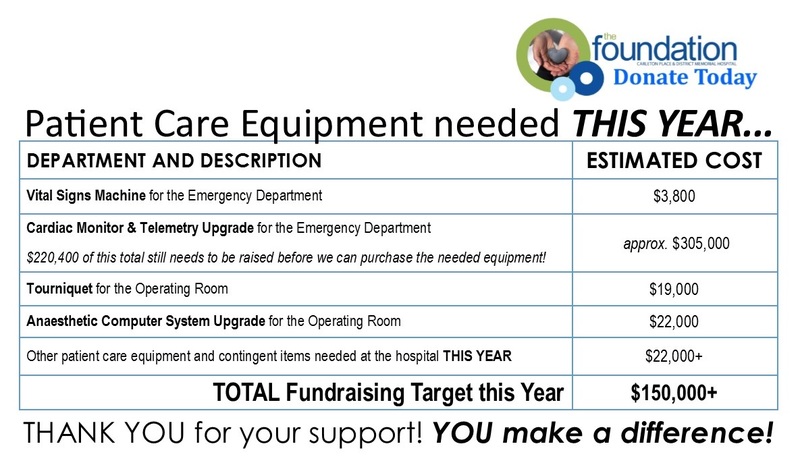 Carleton Place - Current needs at the Carleton Place and District Memorial Hospital. There are always priority pieces of equipment that our Hospital and our patients can’t afford to live without. These items range from the basics – wheelchairs, beds, monitors, stretchers, carts etc., to more unique and large items like a Cardiac Monitor and Telemetry Upgrade for the Emergency Room and Telemedicine System Upgrades. in 2017-2018, the list of equipment required is more than $150,000.